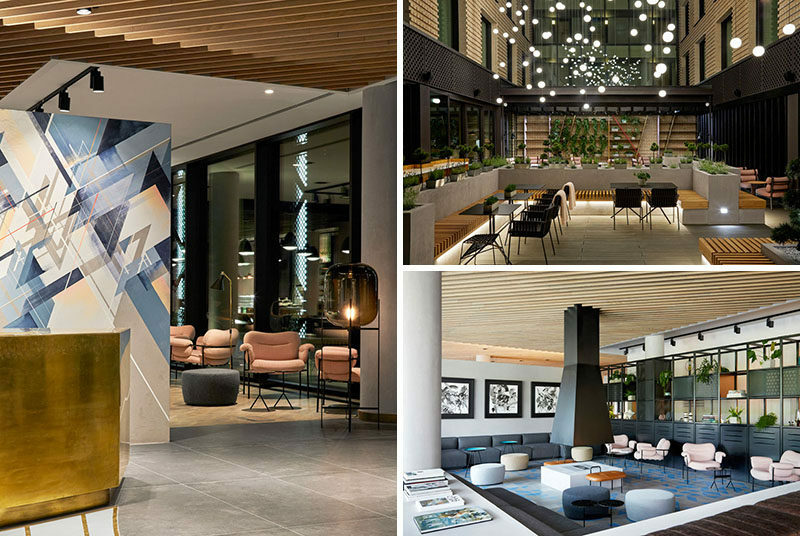 PURO hotel group together with ASW Architekci and Conran and Partners, have designed their latest property in Poland named PURO Hotel Kraków Kazimierz. 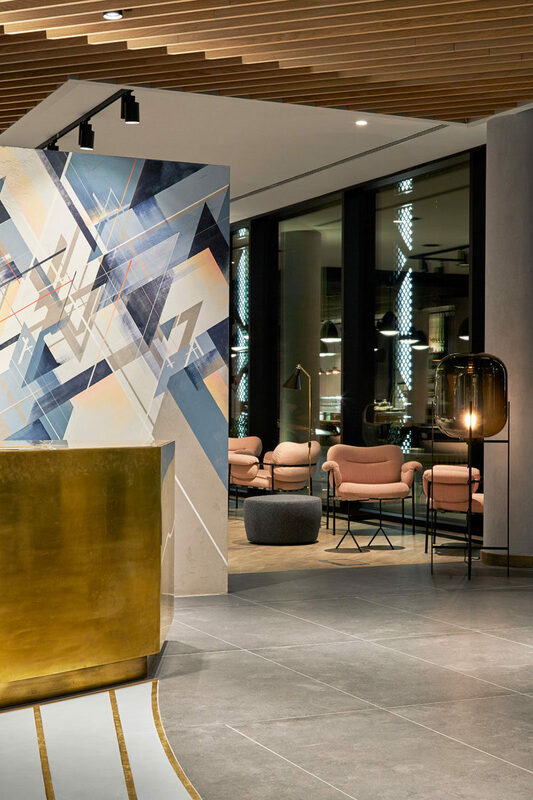 The design concept for the hotel is ‘Bohemian Modern’, fusing the energy, history, authenticity and art culture of the location (‘Bohemian’), the brand’s passion for contemporary art, design-led furniture and forward-looking hospitality (‘Modern’). 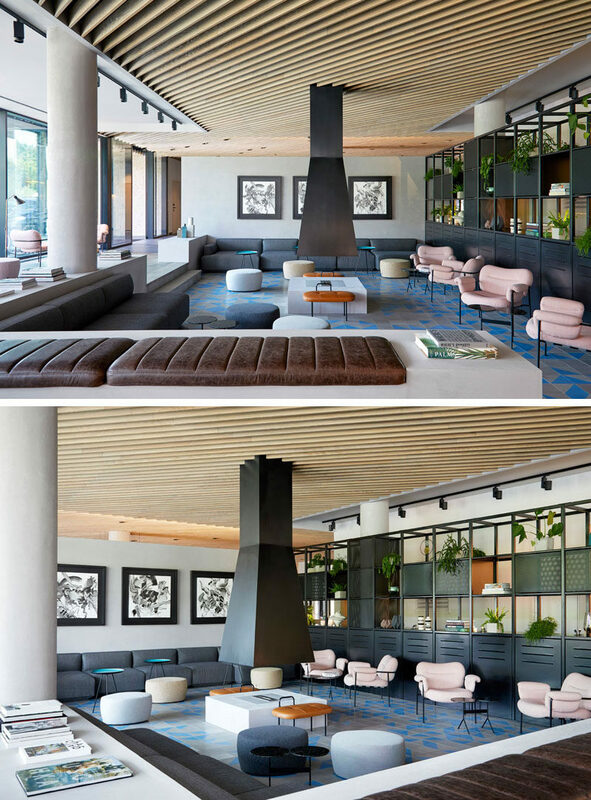 Located off the reception area is the lobby with a central fireplace surrounded by couches and comfortable seating. 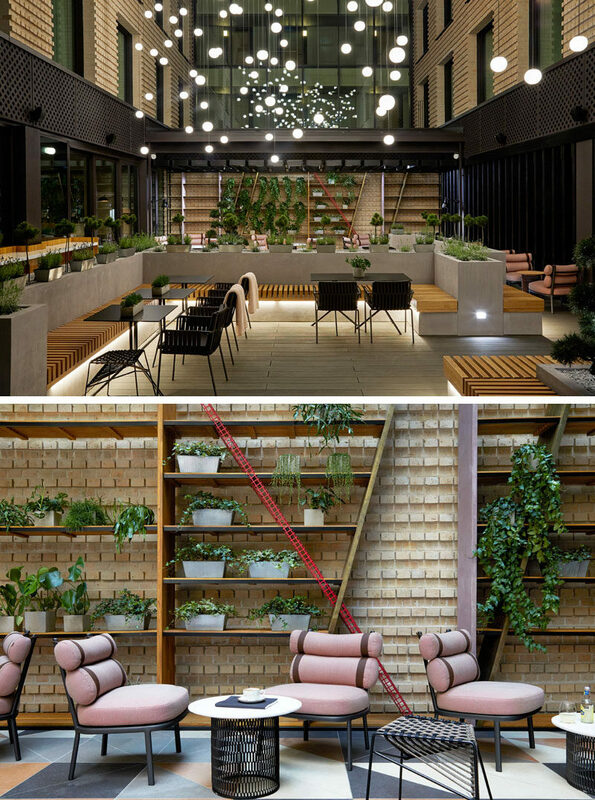 The hotel incorporates indoor and outdoor areas with private ‘pockets’ of space where guests can relax, like in the atrium. 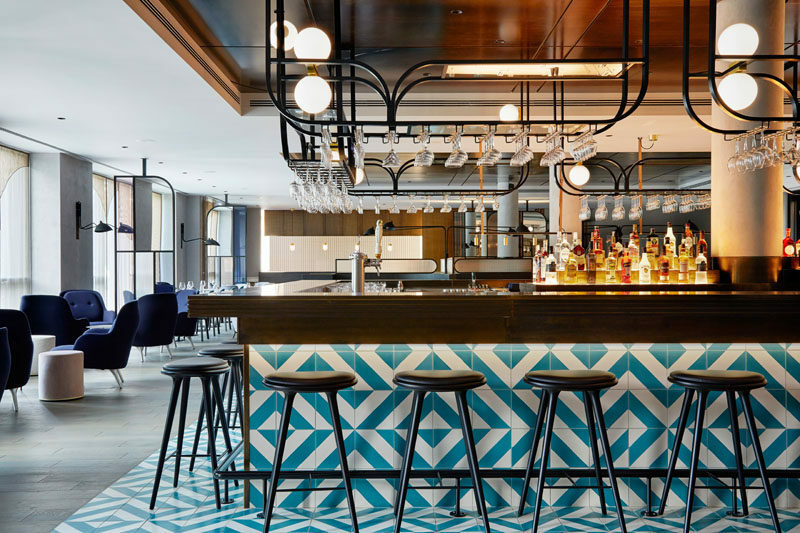 The Halicka Eatery&Bar, with its blue and white patterned tiled bar, serves as a place where guests can get high-quality, locally-sourced dishes with a sophisticated twist. 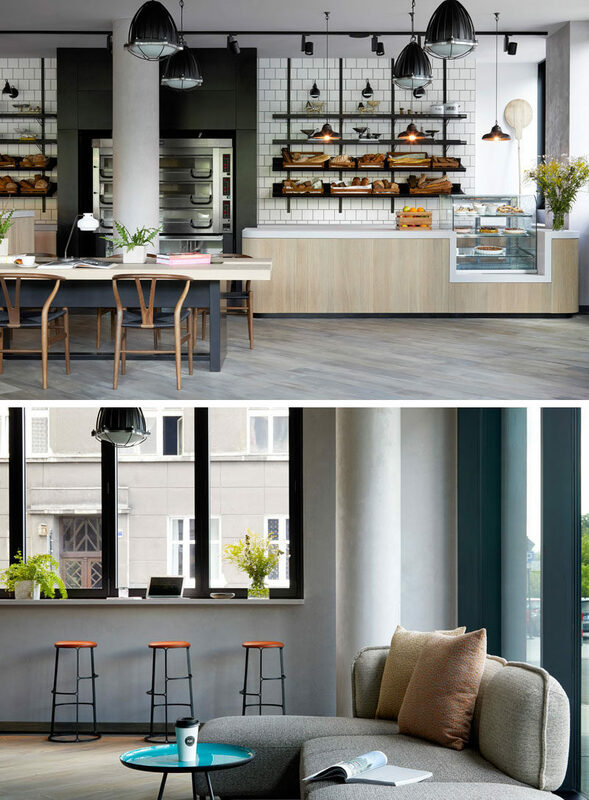 There’s also MAK Bread&Coffee that serves as a cafe with baked goods, and features a simple but modern interior, with communal wood tables, lounge areas, and bar seating at the window. The hotel also has a conference room with a bar area. 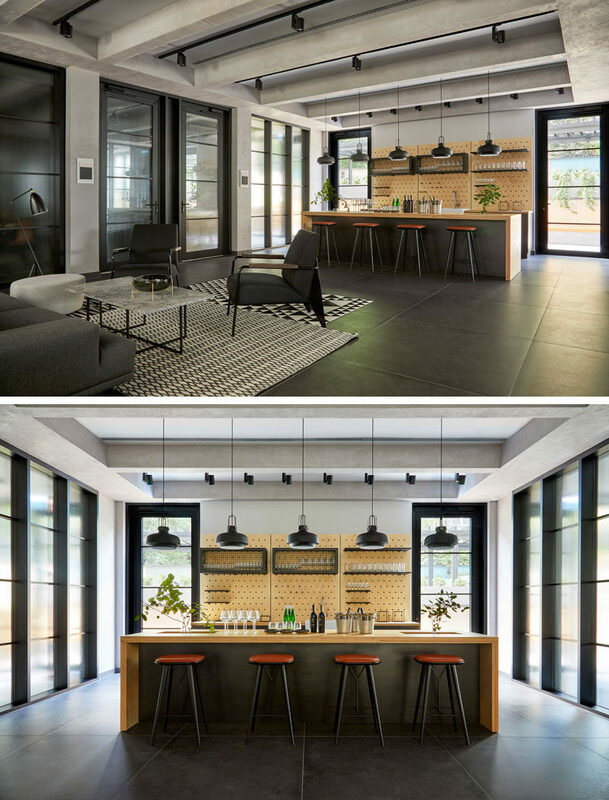 Pegboard panels behind the bar allow the design to be changed when needed. 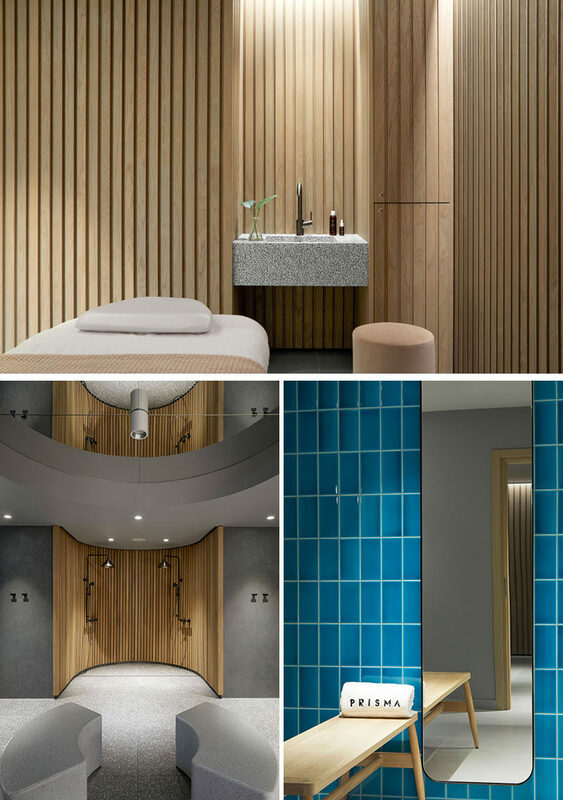 For a more relaxing pace, there’s a spa that’s lined with wood, creating a calming environment. The hotel has a variety of rooms, including the Executive Suite, which is more like an apartment than a hotel room. 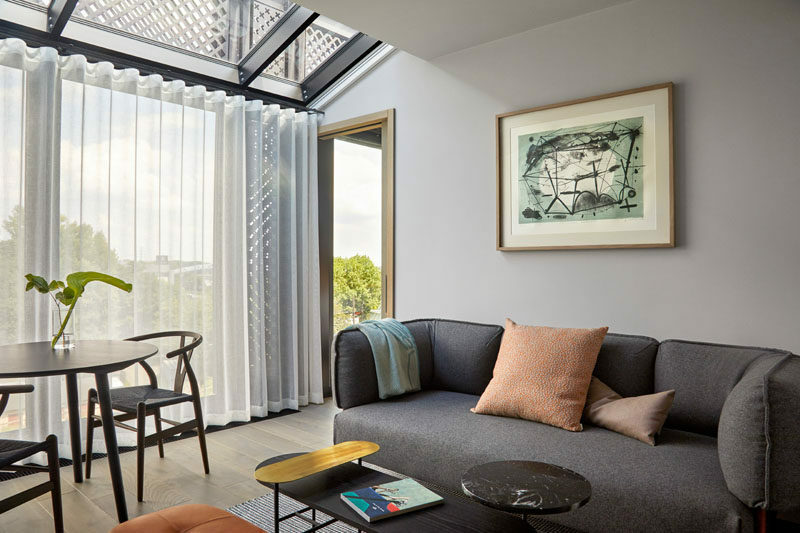 There’s a living room with floor to ceiling windows and a skylight. 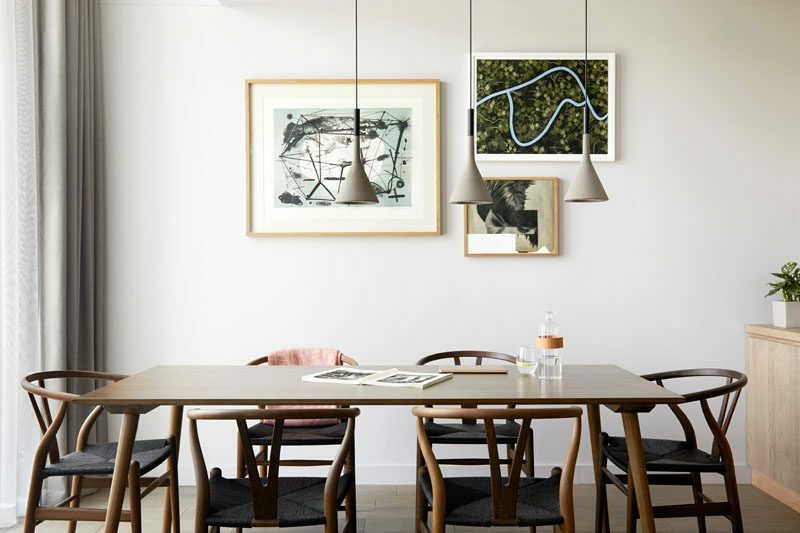 The living room opens up to a dining room, with a six person dining table. 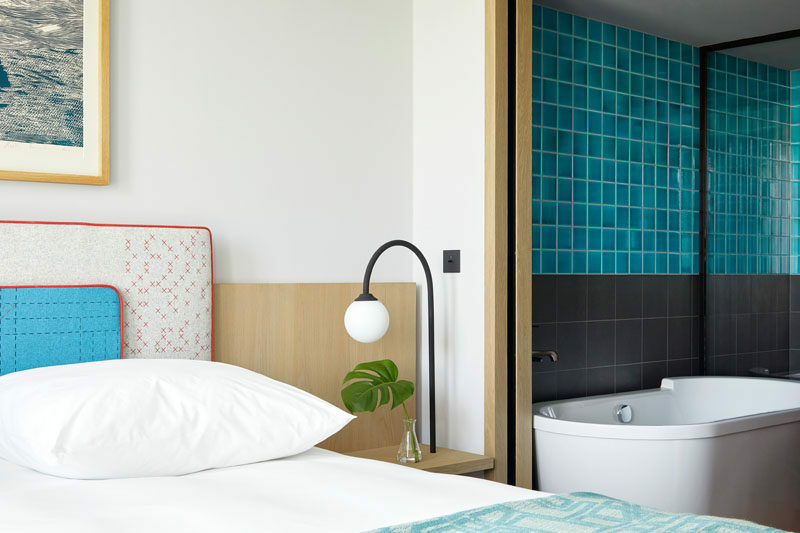 In the bedroom, simple furnishings have been paired with a bathroom that adds a pop of color with the use of bright blue tiles.